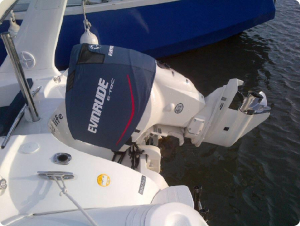 Below are just some of the pictures of Evinrude outboard covers we have obtained over the years. We may not have a picture of your motor here but we DO have the pattern. You can use our Order or Quote page link below to check we have your motor pattern. 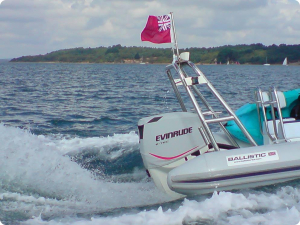 Our vented Splash® covers have been tested by Evinrude and will protect your motor whilst running. If you cannot see a picture of your motor in our gallery it does not mean we don’t have the pattern for it. We have over 800 patterns for outboards going back as far as the 1970’s and all the latest models. We have been making covers since 2000 and have customers all over the Globe. To get a quote for your model simply use our intractive order pages using the link below. Click any image to enlarge and see more. 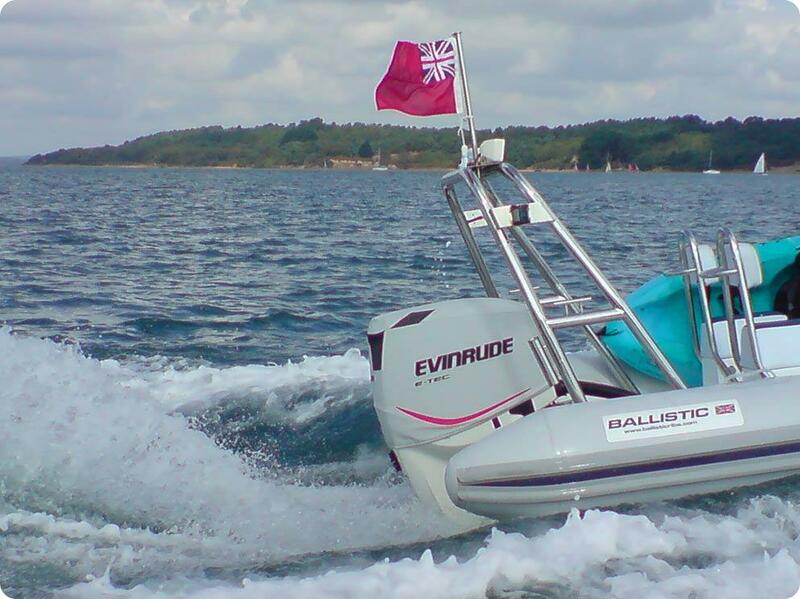 OCA has been approved by BRP/ Evinrude and supply branded covers in various regions. You can order your covers with the branding through our interactive order pages HERE-> Please note that we can only print these graphics on Light grey or Bark Blue covers and in the format approved by BRP (as per the examples below). If you have problems ordering please contact us and we will help resolve the problem. 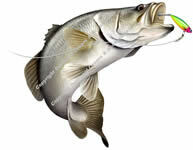 We now have a great range of stock fish images that you can have printed on your covers. Polysoft® II offers strength, dimensional stability, and abrasion resistance with the addition of a lightweight, non-woven soft felt backed polyester backing. Polysoft® II also features great water, UV, and mildew resistance to endure marine environments. In technical terms the material is an acrylic polymeric impregnated fabric. In other words it is a coated polyester that has a very high breaking strength, abrasion, mould and ultraviolet resistant. It also has excellent colour fastness and lasting outdoor durability. In fact Outboard Covers offers a 4 year guarantee against fading and rotting. We also offer a 3 year limited warranty on our high quality workmanship (commercial applications we offer 2 years on both). We have sold covers all over the World and our reputation is second to none for service and quality. Current colors this new fabric is available in is black, charcoal and light gray. 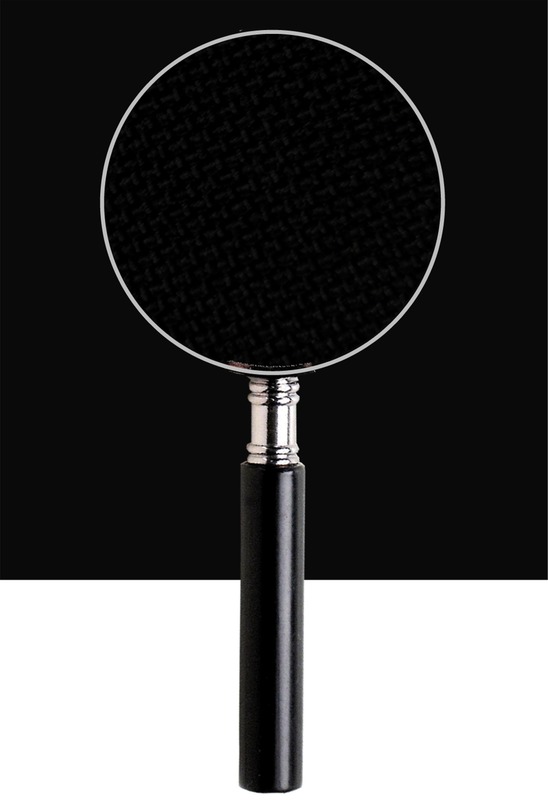 The black is a lot blacker than our previous fabric and other colors will be added to our range over the next 12 months. People also ask what is wrong with using vinyl or a padded vinyl won’t that stop the noise more and offer more protection? 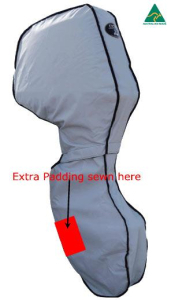 Yes it MAY but as it is not breathable it will cause moisture to build up under both the cowl and cover. This will corrode the motor and damage the paint and decals. Most people are not aware that a replacement cowl is extremely expensive and if new decals are required these are usually extra and can cost as much as one of our Splash covers. This is typically what would happen if you made your outboard cover out of a material that does not have breathability such as vinyl or even neoprene which is used on wet suits. They do not have what Polysoft® has! 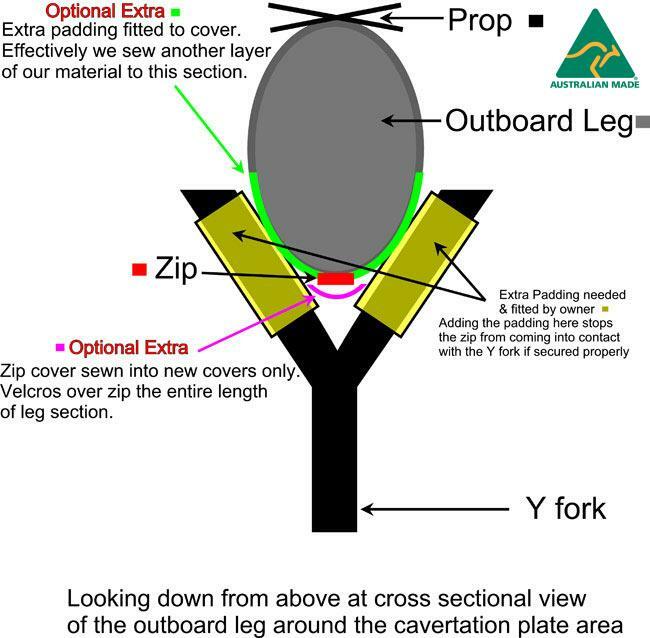 A brief note on my experience with Geoff and Leanne Felgate’s company, Outboard Covers & Accessories (a.k.a. Outboard Covers Australia) as per www.outboardcovers.com.au. I wholeheartedly recommend Outboard Covers Australia. Although their website does the job, I still prefer to order via phone and I am glad to say Geoff has answered the phone every time I have called. What more do you want? I have sold the Quintrex and now own a Sirocco RIB with a Honda F20; neat, fast and fun and now with a new cover for my new engine. By accessing this site you are agreeing to the terms and conditions set out below. 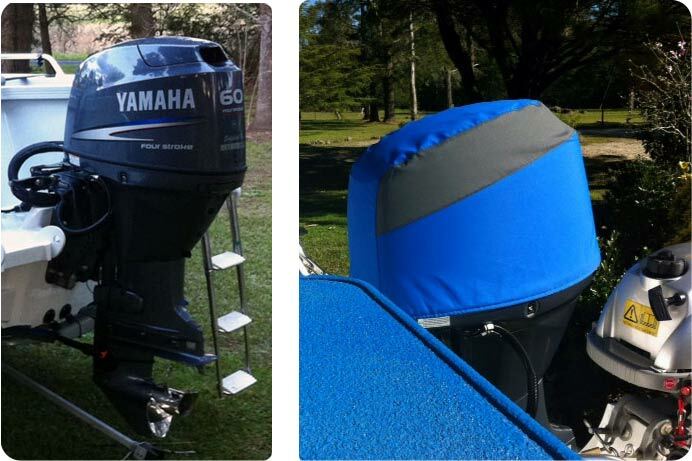 If you do not agree Outboard Covers does not authorize your use of its site. 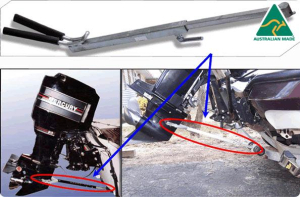 “You” means the user of the Site, “we”, “us” and “our” means Outboard Covers & Accessories and all of its associated and subsidiary companies/ distributors. “Site” means the site on the World Wide Web located at www.outboardcovers.com or any other site registered by The Company , and “Content” means the information and other material available on the Site. Cookies are tiny text files stored on your computer when you visit certain web pages. These pieces of information are used to improve the services we provide to you. We do have relationships with carefully-selected suppliers who may also set cookies during your visit. Google Map. [Cookie name: NNID PREF] You can manage these small files and learn more about them from the article, Internet Browser cookies- what they are and how to manage them. We’re giving you this information as part of our initiative to comply with recent legislation, and to make sure we’re honest and clear about your privacy when using our website. The Content is for your personal use only and you may download the Content onto only one computer hard drive. You agree not to (and agree not to assist or facilitate any third party to) copy, distribute, transmit, reproduce, publish, commercially exploit or create derivative works from the Content. We make no warranties either express or implied relating to the site or its contents. The site is available to you on an “as is” basis. Furthermore by using the site you acknowledge that we cannot be responsible for content supplied by third parties and offer no warranties for this content. In no event (except for death and personal injury arising from our negligence) shall we be liable for any loss or damage whatsoever arising directly or indirectly from or in any way connected with the Site or your use of or reliance upon the Content or any information you obtain by means of the Site whether based on contract, tort, negligence, statutory duty or otherwise, even if we or any of our suppliers has been advised of the possibility of such loss or damage. Your statutory rights in relation to any goods or services purchased through the Site are not affected. You may not cancel your order once it has been placed. All goods are manufactured according to the details given at time of placing the order. We accept no responsibility for errors made by you during the order process. The price of the Products shall be the price quoted on the Site. 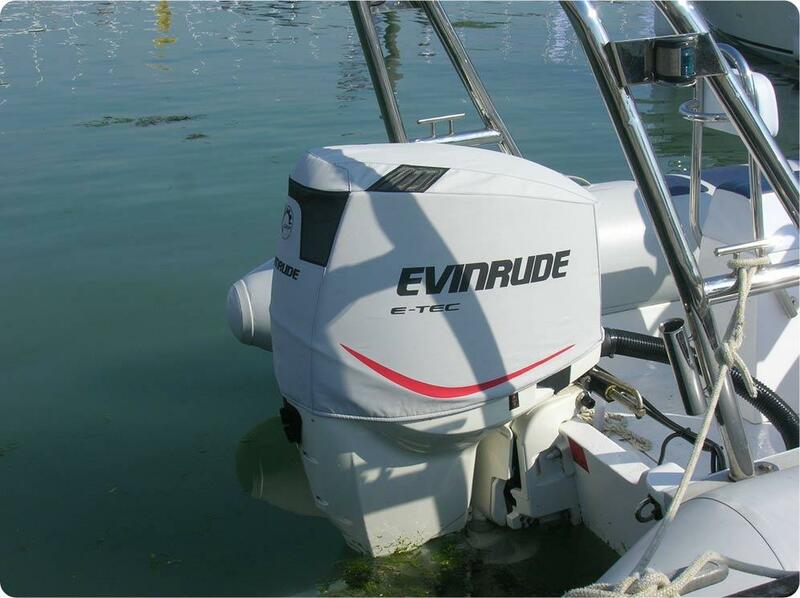 Outboard Covers & Accessories reserves the right to change the price of any goods if an error has been made. You must provide payment details on the date that we accept your order. In respect of Goods only: the delivery of Goods shall be subject to payment by you of the delivery charges specified on the Site which may be changed by us at our discretion. We are not responsible for local tax and import charges, these are the responsibility of the purchaser. Orders are manufactured within 4 working days unless otherwise requested and will take 3-4 weeks to arrive. All product is manufactured in Australia. Payment can be made by Visa, Mastercard, Visa-Delta and Meastro. All purchases are processed off-line. Payment will be debited from your account before the dispatch of your purchase. You confirm that the credit/debit card that is being used is yours. 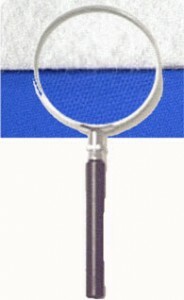 We will take all reasonable care, in so far as it is in our power to do so, to keep the details of your order and payment secure, but in the absence of negligence on our part we cannot be held liable for any loss you may suffer if a third party procures unauthorized access to any data you provide when accessing or ordering from the Site. Once the Goods have been received by you, all risk of damage to, or loss of, the Goods shall pass to you. Irrespective of delivery and the passing of risk in the Goods, or any other provision of these conditions, the ownership of the Goods shall not pass to you until we have received in cash or cleared funds payment in full for the price of the Goods and all other Goods agreed to be sold by us to you for which payment is then due. Until such time as the ownership of the Goods passes to you, we shall be entitled to ask you to return the Goods to us. You confirm that you have given us the correct billing address of your credit/debit card and that you have also notified us of the correct delivery address. All goods are sold with the benefit of and subject to the terms applicable to such warranty as is given by the manufacturer of the Goods. There shall be no liability under any such warranty or guarantee if the total price for the Goods has not been paid by the due date for payment. If a valid warranty claim is made within 730 days of purchase of new Goods we will satisfy in full our liability to you by either (at our option) replacing the Goods free of charge; or refunding to you the price you paid for the Goods. Refunds are not available as the product is manufactured in accordance with the information supplied by the customer. Should a mistake or fault be caused by us a replacement will be supplied free of charge on return of the original cover to the Supplier. Statutory rights not affected. Goods may only be returned one the Purchaser is in receipt of a ‘Returns Authorization’ note from the Supplier. A request for return should be made via the local agent/ Distributor stating the reason for the return and purchase date of the product. All authorized returns must be clean and free from oil and grease in accordance with the supplied instructions. They must also be sent via recorded delivery and the Company cannot be held responsible for items lost in transit. Nothing in these Purchase Terms shall exclude or limit liability for death or personal injury resulting from our negligence or that of our servants, agents or employees. Our liability in contract, tort, negligence, pre-contract or other representations or otherwise arising out of or in connection with these Purchase Terms or the performance or observance of our obligations under these Purchase Terms, and every applicable part of it shall be limited in aggregate to all sums paid by you to us. In any event, we shall not be liable to you under, or in connection with these Purchase Terms in contract, tort, negligence, pre-contract or other representations (other than fraudulent or negligent representations) or otherwise for any loss of business, contracts, profits or anticipated savings or for any indirect or consequential economic loss whatsoever, furthermore, Outboard Covers & Accessories accepts no liability for damage caused by the product being fitted or used incorrectly. All product must be used in accordance with the instructions supplied. Where you choose to purchase Third Party Goods, the contract governing such purchase shall be between you and the relevant third party and on the standard terms and conditions (if any) of such third party for the purchase of such goods or services. You agree and acknowledge that you are solely responsible for evaluating Third Party Goods. You acknowledge any bookings or purchases of Third Party Goods made by you shall be subject to terms and conditions of the third party supplying the goods and/or services concerned and that we will not be a party to or any way responsible for or liable to you in respect of any transactions between you and third parties. We do not make any representations or warranties as to the security of any information (including, without limitation, credit card and other personal information) you might be requested to give to any third party. We reserve the right to change theses terms and conditions from time to time. By continuing to use the Site following any such change you will be deemed to have accepted such change. It is your responsibility to check regularly to determine whether these terms and conditions have been changed. If you do not agree to any such change you must immediately stop using the Site. Polysoft® offers strength, dimensional stability, and abrasion resistance with the addition of a lightweight, non-woven soft felt like polyester backing. Polysoft® also features great water, UV, and mildew resistance to endure marine environments. In technical terms the material is an acrylic polymeric impregnated fabric. In other words it is a coated polyester that has a very high breaking strength, abrasion, mould and ultraviolet resistant. It also has excellent colour fastness and lasting outdoor durability. 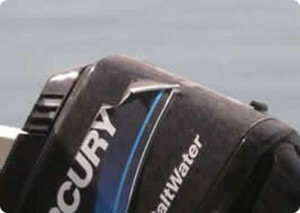 In fact Outboard Covers offers a 2 year guarantee against fading and rotting. We also offer a 3 years limited warranty on our high quality workmanship (commercial use 12 months on each). We have sold covers all over the World and our reputation is second to none for service and quality.